Instagram marketing company Curalate analyzed 30+ features across more than 8M Instagram images to offer up their suggestions. The more a user can see, the happier they are. 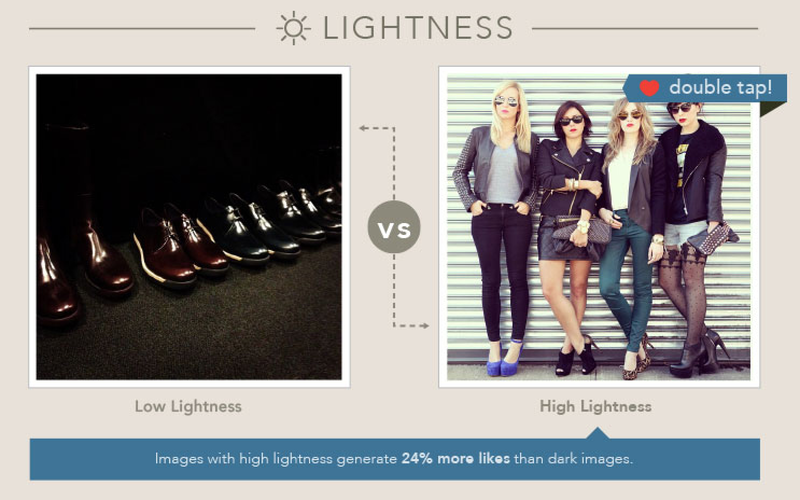 Photos with a better, brighter lighting draw 24% more likes than darker images. It might seem artsy or edgy to “go dark,” but you’re putting yourself at a disadvantage by doing so. 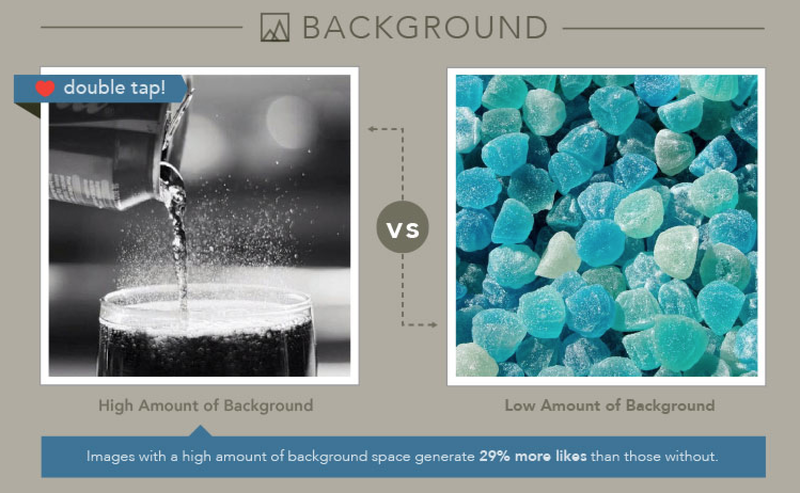 Photos with more background space attract more likes than up-close, macro photos. To gain more likes on a particular subject, maybe take a few steps back and focus on your subject. A well-shot subject against a grainy or blurry background makes for a wonderful photo, and generates 29% more likes. Posting photos with red as the dominant color might give you the blues. 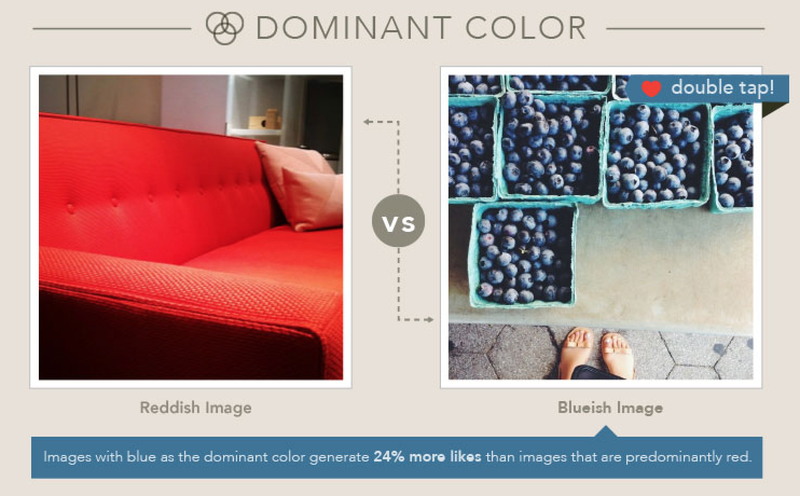 Research has shown that predominantly blue images draw 24% more likes than red counterparts. If your photo is promoting a product, it might make sense to set your product against a blue backdrop, or in blue-hued lighting. Plain is in! 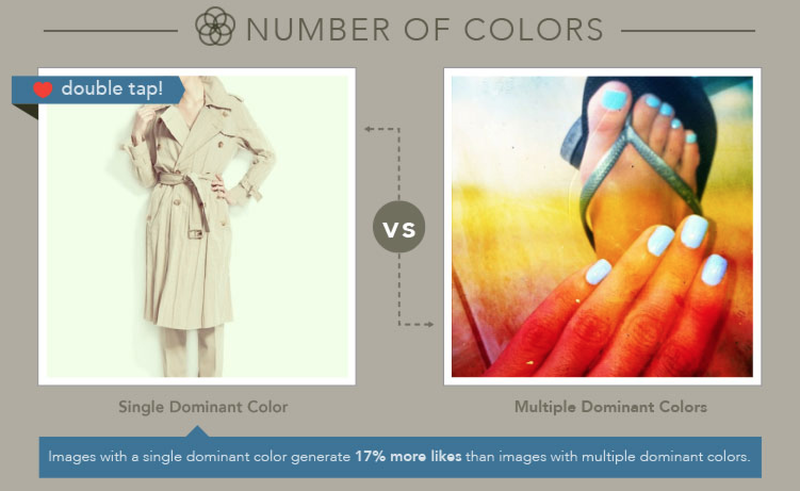 It turns out that images with a single dominant color generate 17% more likes than images with many dominant colors. If you’re taking a photo of a green apple, perhaps do so on a backdrop of another hue of green. Doing so, you’re more likely to draw the precious double-tap. 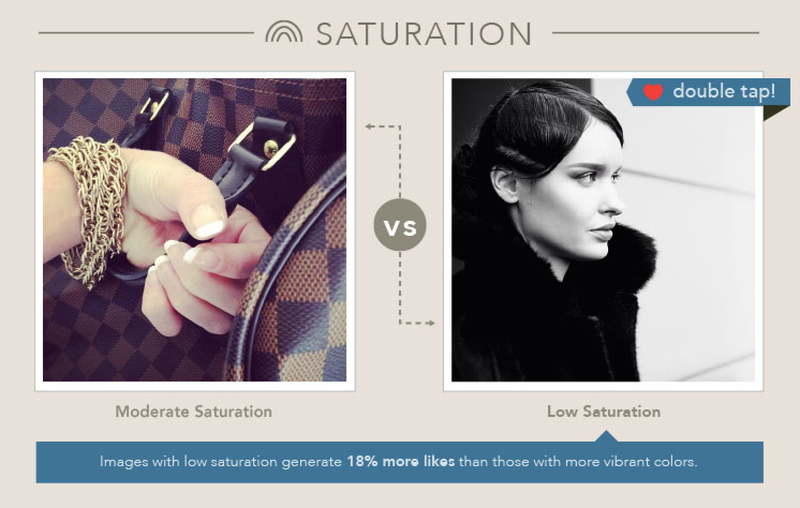 Lower saturation is your friend, if your goal is to draw more likes on Instagram. Try taking black and white photos and see if it increases your engagement. Black & white photos can convey an “old-school” or classy message. This would be ideal if you were marketing to an older or upper-class audience. It’s also been proven to generate 18% more likes. GET A LITTLE ROUGH WITH IT! We see in 3D. Our eyes crave texture, and data has proven as much. 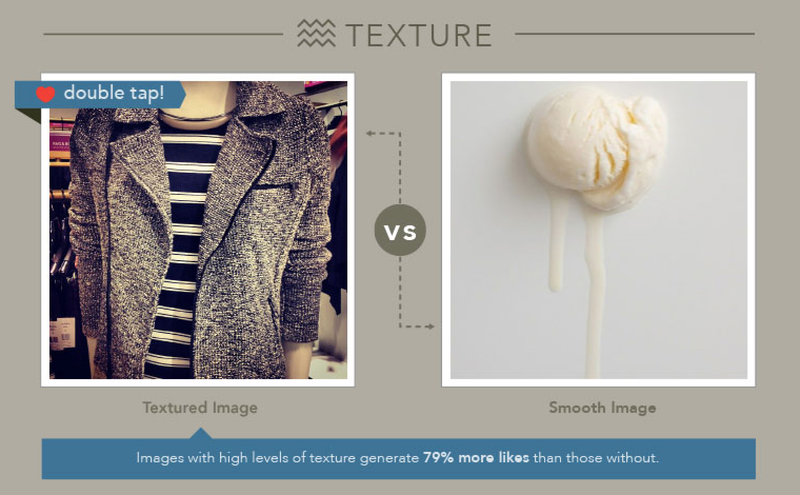 Photos with higher levels of texture are 79% more likely to be liked than smoother photos. Try putting it into action by shooting things like broken glass or rough surfaces. You’re bound to see an increase in likes! Instagram has recently rolled out an advertising platform that social media managers are scrambling to understand. 1.2 Billion “Likes” are processed every single day on Instagram. By harnessing the information here, you’ll earn the lion’s share, making a major impact on your overall social media strategy! Start tracking Instagram Accounts and conversations with Keyhole today! Click here to get started.